15 boarded the bus at Bridgewater for the tour of Salisbury West and the Loddon Foothills as part of the Naturally Loddon Festival on 30 September. 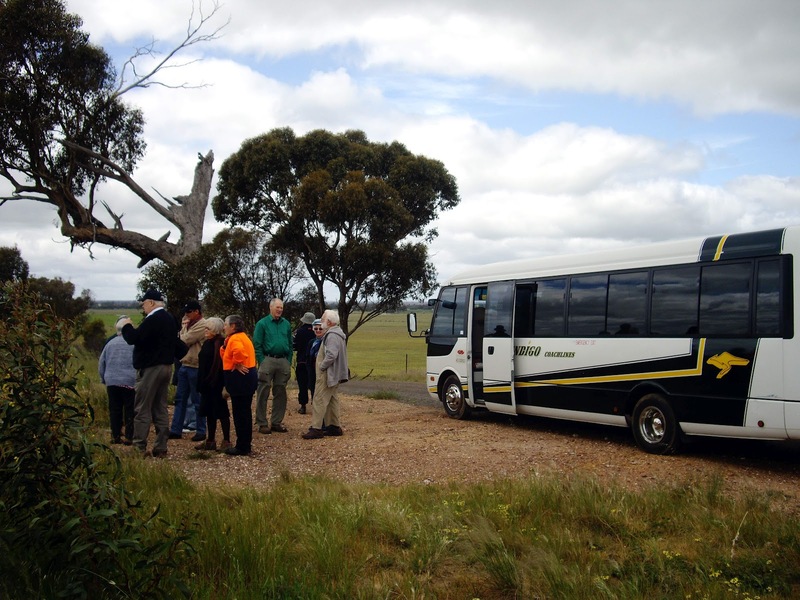 The tour showed the works of the Salisbury West Landcare Group fitting with the festival aims to promote the natural environment, biodiversity and cultural heritage in the Loddon Shire. The group heard commentary from local knowledge brokers Jean McClymont, Phil Dyson and John Penny. 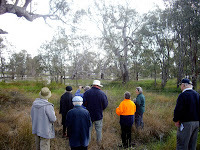 Tourers were treated to beautiful sites around the area including the Loddon River, Serpentine Weir, and Salisbury West, as well as the significant Indigenous Cultural Heritage Site at Powlett Swamp. 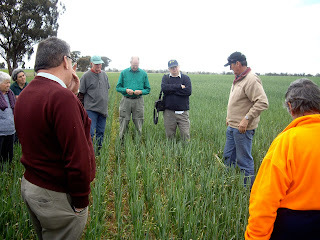 The remarkable achievements of the Landcare group were plain to see (in shelterbelts, green haystacks and in fencing of the Loddon River) but also more nuanced in the works done in regards to soil sustainability, farm works, crop and pasture rotations. At one point a snappy snake gave the group a fright, reminding us that spring has arrived in our natural wonderland. 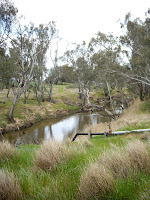 Many thanks to Jean McClymont for organising the trip and to the State Government Victorian Landcare Grants and the North Central Catchment Management Authority for funds to run a most enjoyable day. 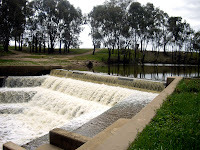 Thanks also to the Loddon Shire for promotion and running of the Naturally Loddon Festival. Photos (click to enlarge): Salisbury West stop (top left), Paddock talk with John Penny (top right), Serpentine Weir (bottom left), Loddon River (bottom centre), Powlett Swamp (bottom right).